How is everyone doing? I’m having some successes and some not so much. 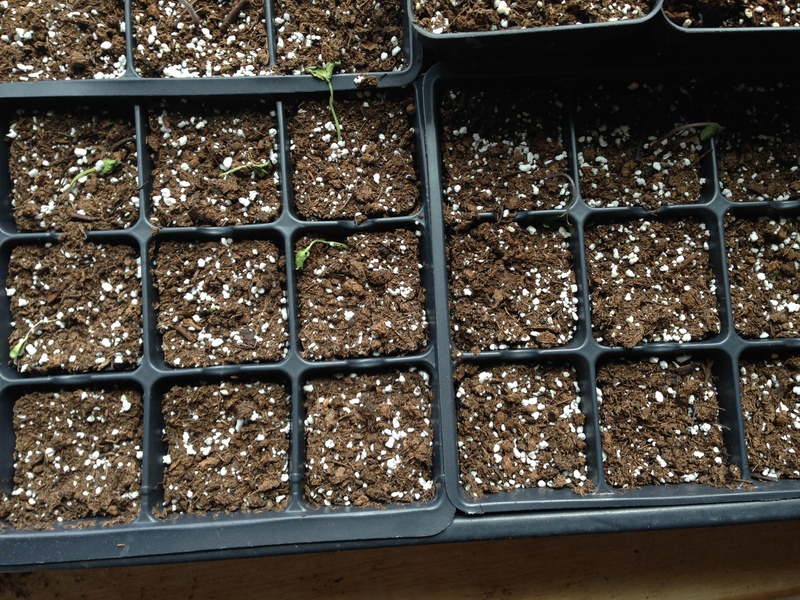 I ended up replanting the tomatoes that froze because I left the window open last week, but nothing has come up yet. I did replant my broccoli and they seem to be doing ok. 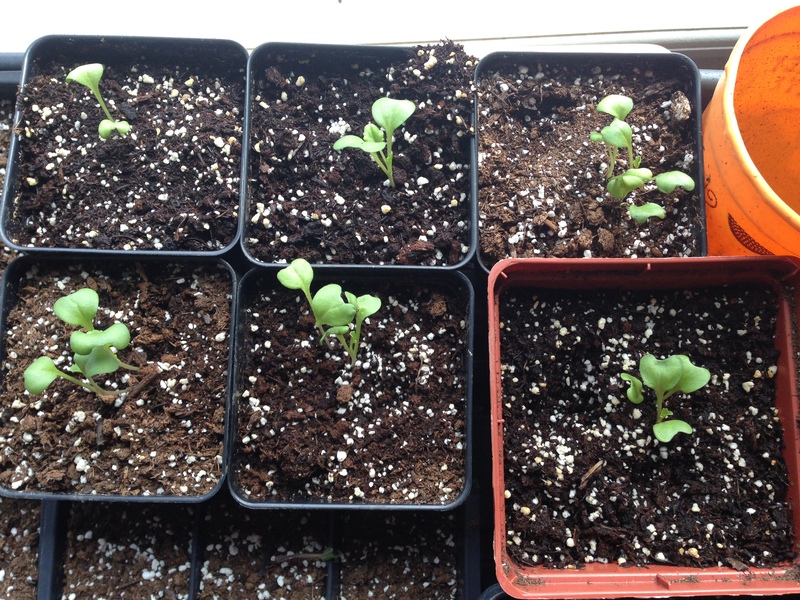 I had started with 9 broccoli plants and somehow now only have 7…oh well. 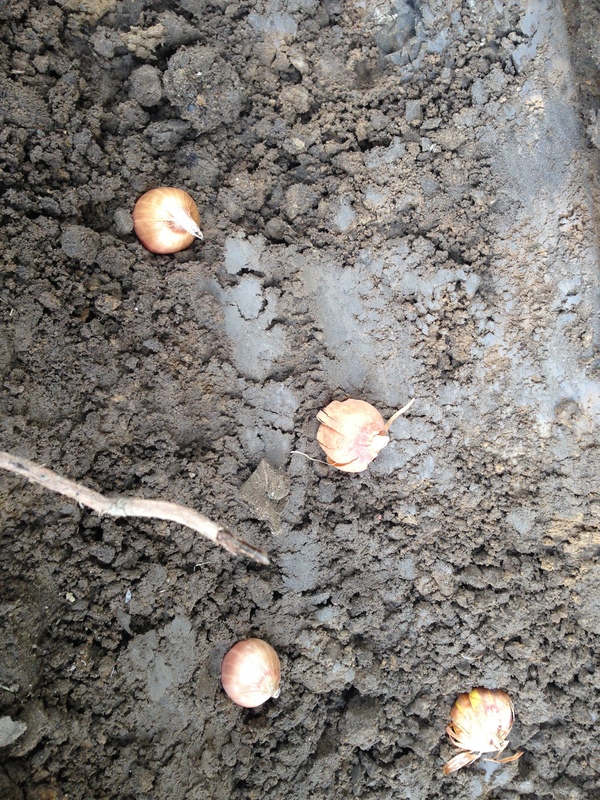 Speaking or replanting, there’s not really a good way that I’ve found. 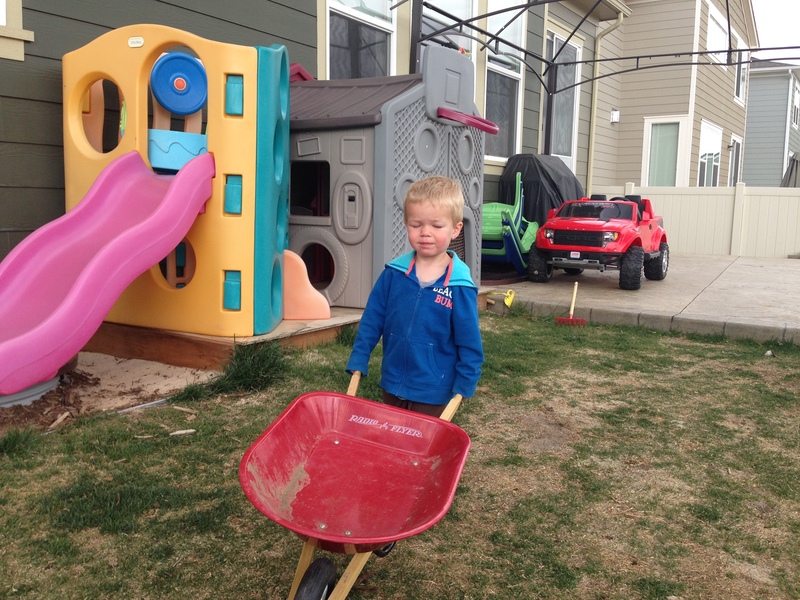 I’ve learned that having extra helpers that are under the age of 5 is not helpful. Other then that, get bigger containers and then slowly ease your plants out of the small containers and carefully put them in the bigger containers burying them half way up the green stem. Do what works. 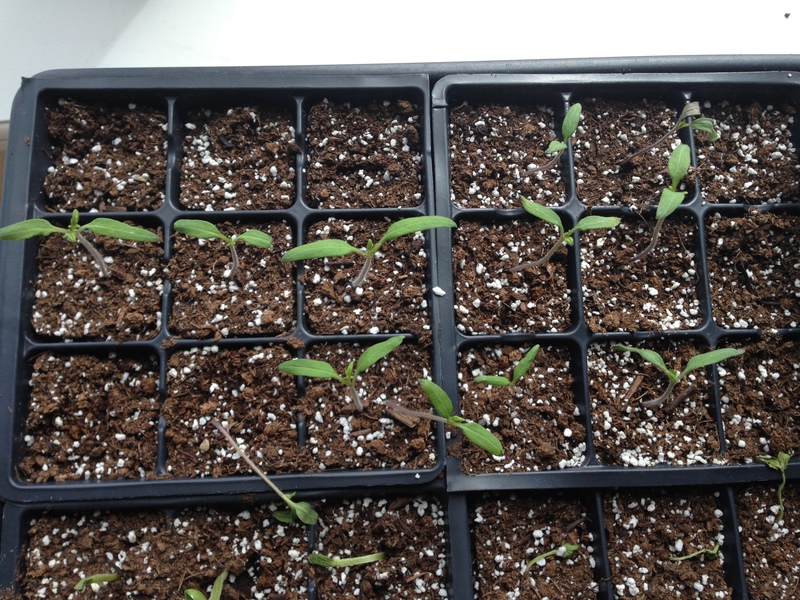 I will probably have to replant some of my tomatoes this week (those that survived the cold air) as they are beginning to sprout their second set of leaves. As far as around my yard, my daffodils are still doing great, they are such happy flowers, they make me smile every time I see them. 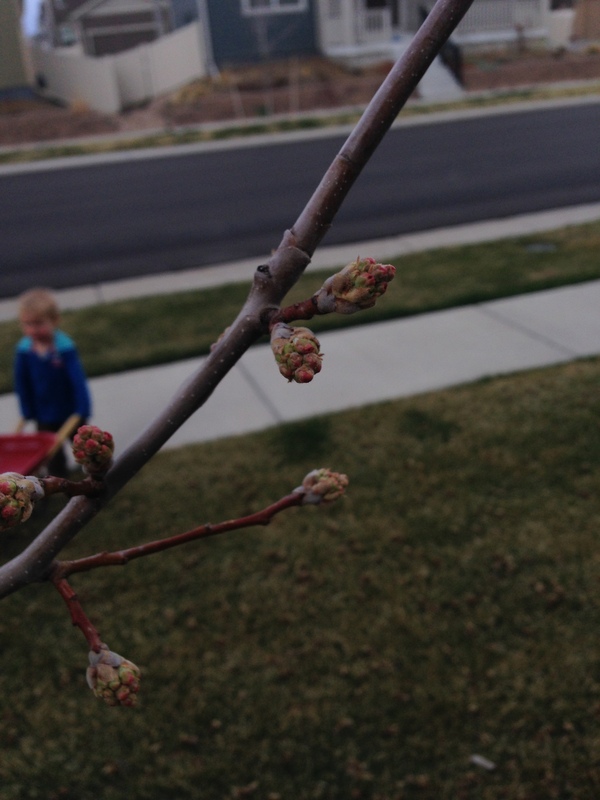 But my pear trees are budding out and will hopefully bloom soon. 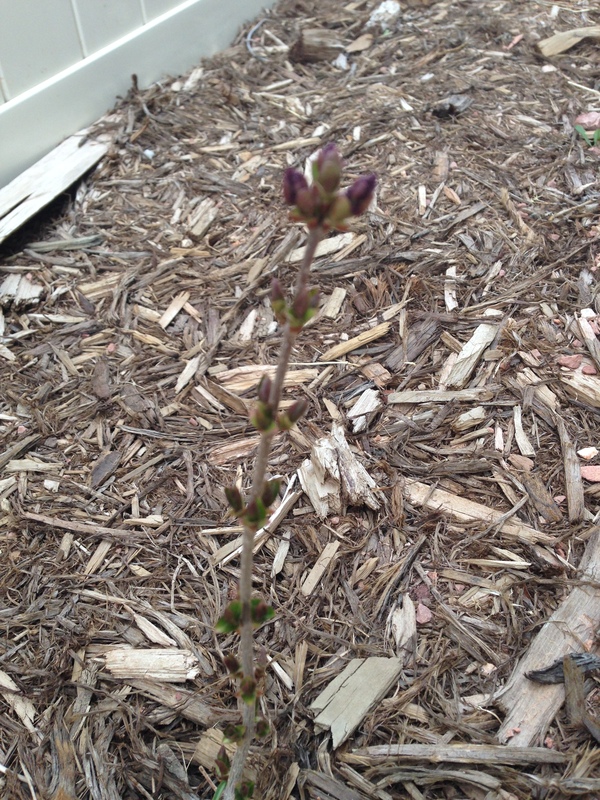 My lilacs are also greening up and looking good. I have a number of plants turning green and looking promising. Somedays I want to go hang out at the local nursery and just look at all the flowers. Unfortunately they don’t have a lot in right now because it is still the beginning of April in Colorado. But in the summer time, its my happy place to go and just walk around. I’ve already been in once to ask if they had their roses in yet. 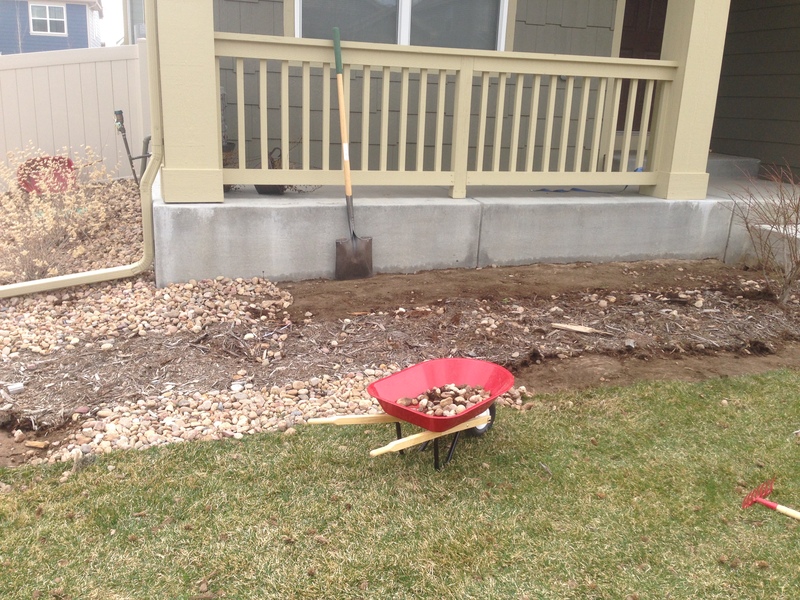 I decided that I’m tired of the rock and bushes that the builder put in front of our house, so on Saturday we moved rock. 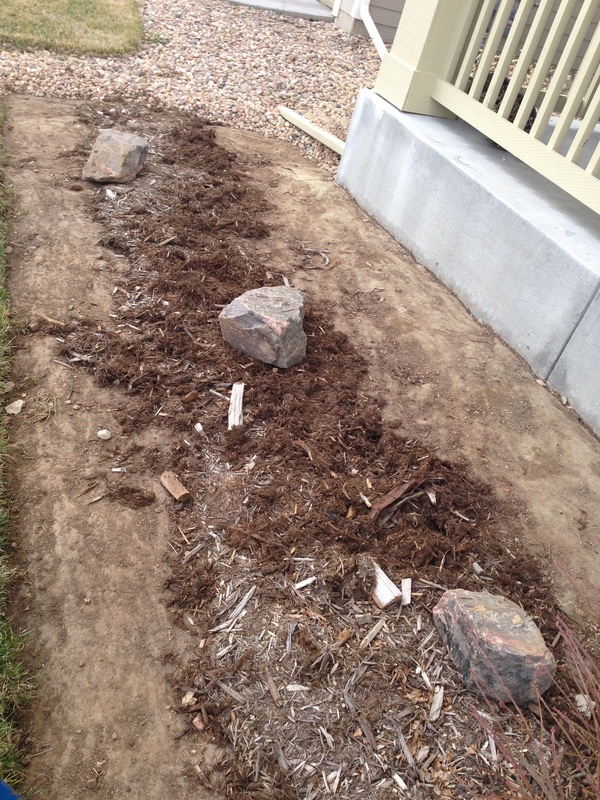 I had moved some of the rock a few years ago and put in a small area of mulch but it was time to make it all mulch. I haven’t decided what all I want to put in that area yet, outside of “lots of flowers to make it pretty”, which is fairly specific :). 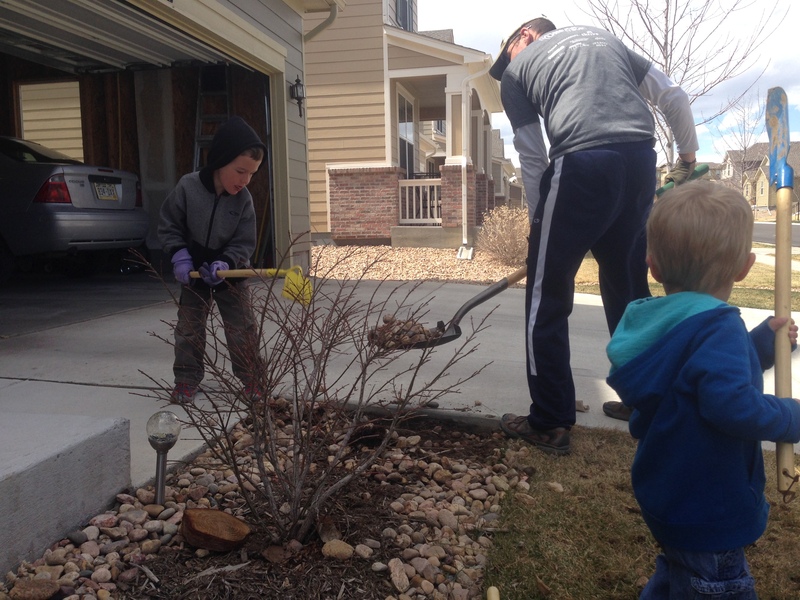 I had some good helpers in the process. 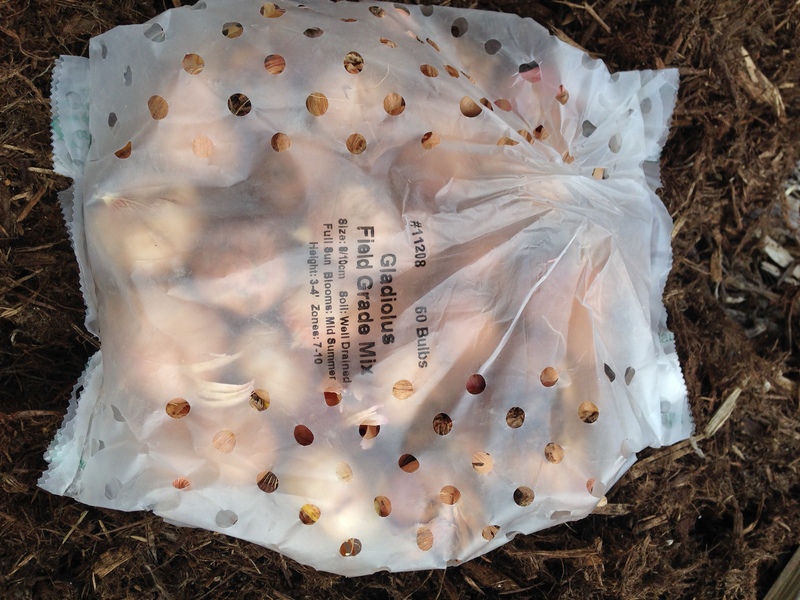 I did plant some of my gladiolus bulbs that just arrived in the mail in the new area. This is my first attempt at gladiolus. So far, I’m failing, as the package that arrived in the mail from the gardening company said “plant immediately”. It took me a week…oh well. Have a good week, happy planting and good luck! And who knows, you might just find a worm this week! 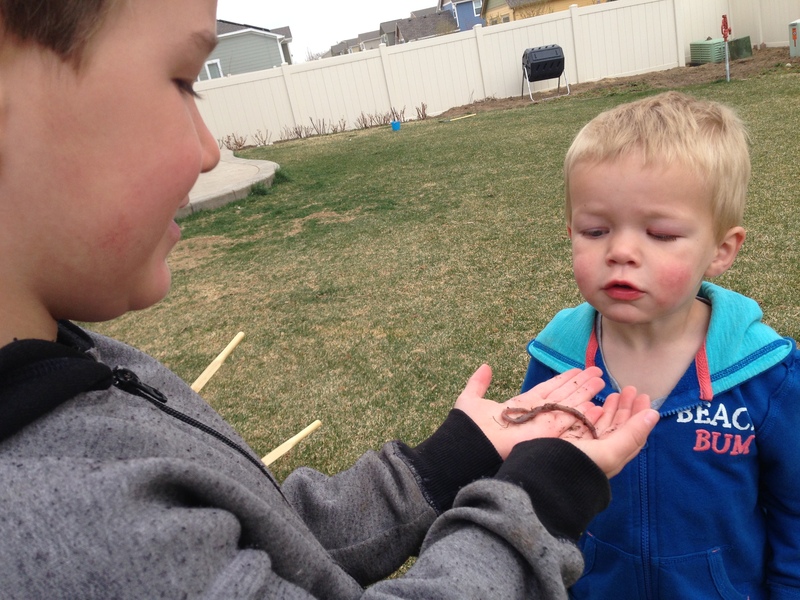 Nothing like two boys and a worm…we won’t mention how much the little one cried when we put the worm back in the ground….